I’m into AsianBeauty and check out the reddit thread there and blogs and also listen to the podcast snailcast. 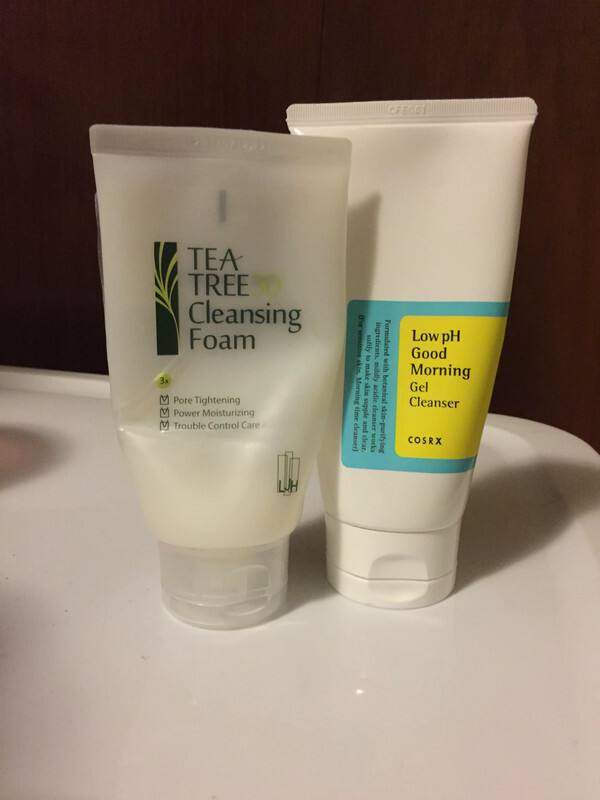 I wanted to review 2 KOREAN cleansers from LJH and Cosrx. Both are low-ph foaming cleansers that contain tea tree oil. both products are 150 ml. Both are foaming cleansers so they will last A WHILE IF YOU USE A FOAMing net which is really cheap. you can make 5 of them from the puffy lufa (?) from the dollar store. Lather : LJH gives a better lather. The foam is more dense when i make my bubbles witih theh foaming net. They both foam. Scent: they both have a tea tree oil scent. the scent is stronger with cosrx one. The scents of both products don’t bother me but I do prefer unscented products.There is no added fragrance or liomene or floral extracts etc which are irritating to the skin & that is a must for me. and COSRX is 3rd for sure. You would think that because it’s cosrx and it’s low ph that it wouldn’t be drying but it is. SO maybe people who don’t have dry skin don’t notice the difference between cosrx and ljh or cosrx and drunk elephant… but for me there is a clear difference. Cleansing is an important step of your skincare routine and using a drying cleanser on a daily basis is probably wreaking a lot of havoc. I’m glad I made this discovery and hope to have served other dry-skin people. I’m now really interested and excited to try out cleansers from cerave and paula’s choice. I’m excited to find the cleanser that’s at the right price point and cleans without drying my skin. It’s something I wash off my face so I really don’t feel the need to spend all this money on it. I’m not sure how expensive drunk elephant is because it’s bar and it’s half the size of a regular soap bar. If you use the foaming net and only use that to wash your face and neck I think it’ll last a long time. I got the peekee bar on sale this past black friday so I am looking forward to cleansing without the exfoliation that I get from the juju bar. This entry was posted in korean, skincare and tagged acne, asian beauty, asianbeauty, cleanser, cosrx, drunk elephant, dry skin, face, foaming cleanser, juju, kbeauty, korean beauty, korean skincare, ljh, low ph, peekee, ph, review, skin, skin care, skincare, skincare routine on December 1, 2016 by choronghi.WORDPRESS.COM.